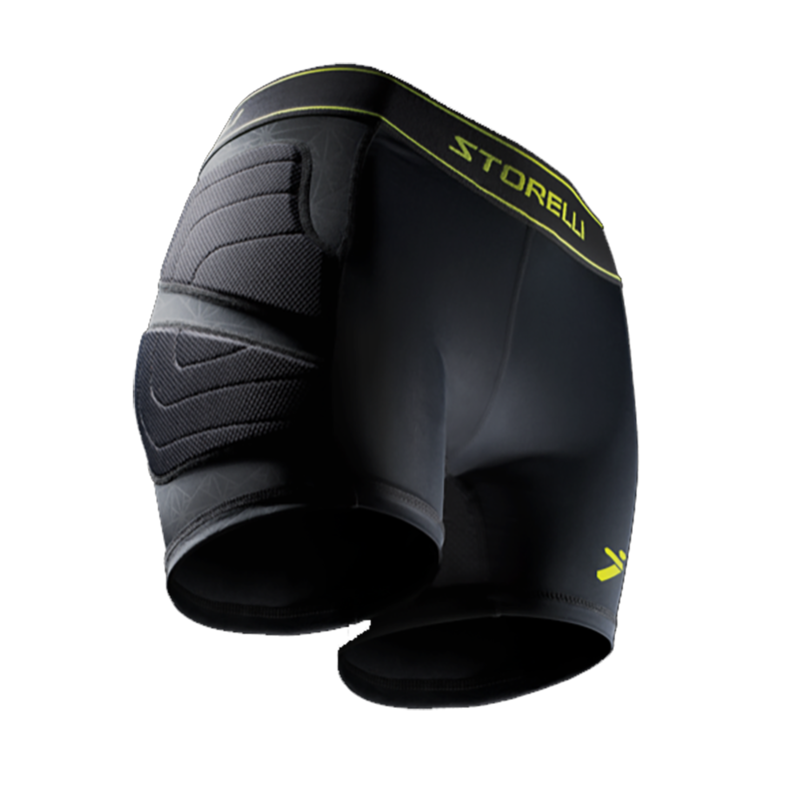 Padded compression goalkeeper shorts by Storelli specifically designed for Women. The Bodyshield GK slider available in white and black. 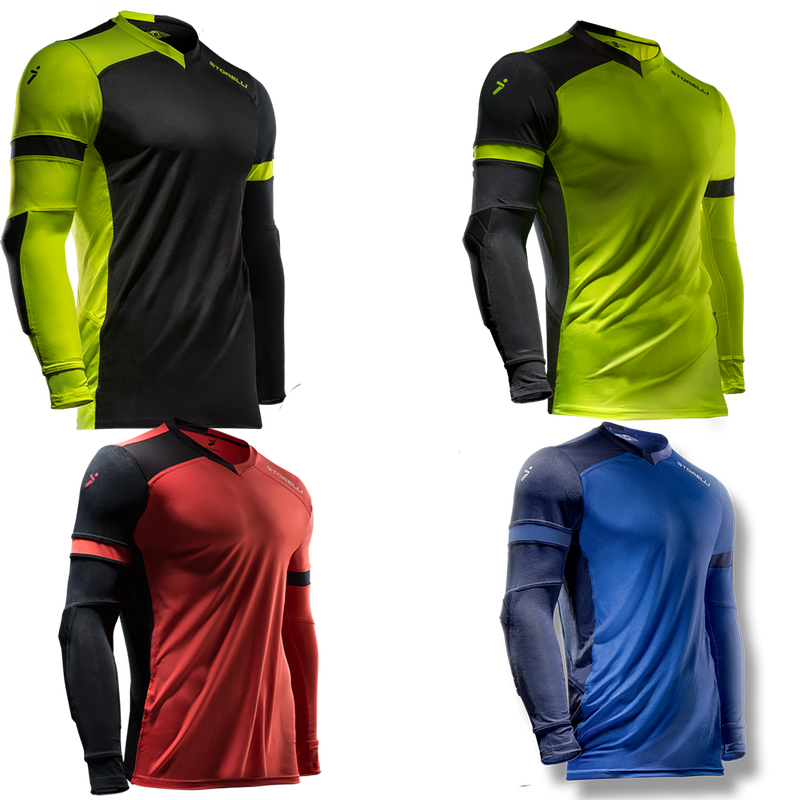 The Storelli Bodyshield Women's Slider is a baselayer that is supportive and protective and can be worn comfortably under shorts. The women's slider shorts offer extreme protection along the thigh and hip area but is also fexible and durable. The slider shorts offer a new engineered biology line that is between engineering and biology. It is refered to as the golden section which is reflected in the fabric in a triangular pattern. This feature allows the waistband to wear more comfotable with a stealth fit. Works great at protecting the hip, fits well. Really has helped my daughter in making the jump to college soccer and protecting the hips and still able to make wicked saves!